Now that Fall has arrived its time to switch things up. Now no one can tear me away from my hot pink pucker or lavender lip but the new season calls for more demure look so check my Fall picks in the video below!! Cool! Love this kind of stuff! Just came across your blog, and love it. Great video, and I love those colors on your skin tone. I'm partial to the darker berry colors like vava violet. I have a similar (maybe even darker) one from MAC that I love even though all my friends say it makes me look gothic when I wear it. 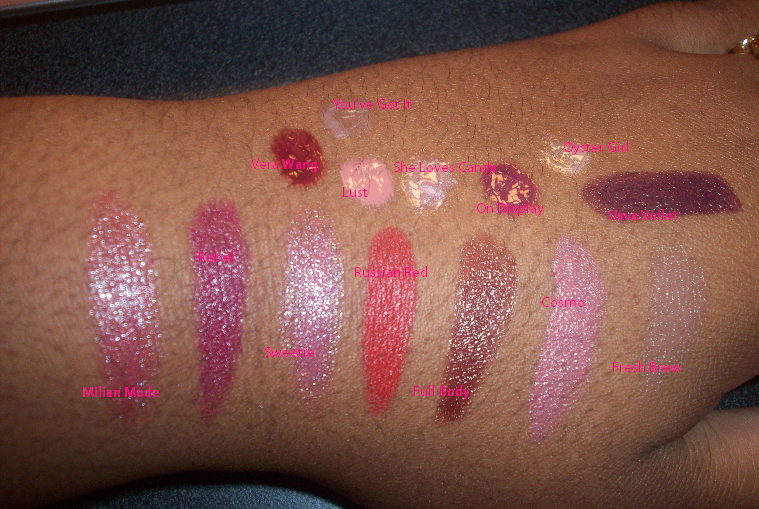 wow a lot of very nice lipsticks love them! !